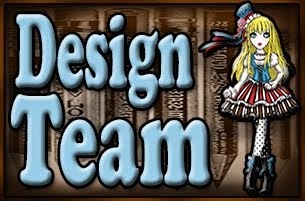 Lost Coast Designs is a rubber stamp company offering a sophisticated line of unique images to excite your creative impulses! 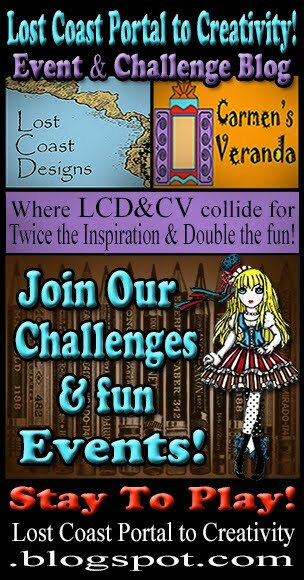 Join us for fabulous LCDesigner inspiration & tutorials! again so it's time for our new challenge. Congratulations Liesbeth, please contact us for your prize! If you want , you can take the winner badge for your blog. - Use at least one Lost Coast Design stamp. - Place your work in this post by Inlinkz. - Submissions need to be in before the 25th of this month. Hello Mariane, welcome to this blog, hope you can take part of it! Congratulations Lisbeth....loved your entry,I have the same background stamp and I admire how you have coloured yours, it's so eye catching. Join us on our Event & Challenge Blog! Lots of fun activities for you to play in & prizes galore! 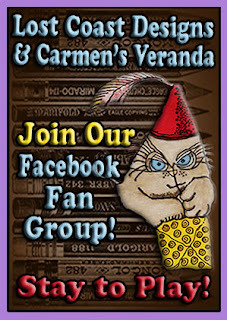 Join our Facebook Fan Group! 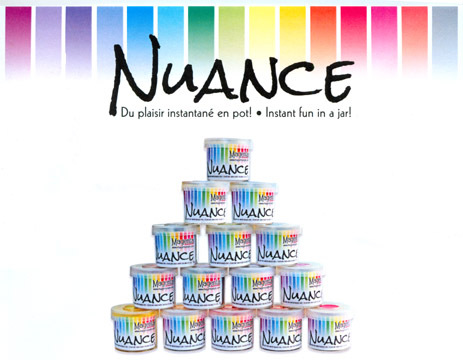 Lost Coast Designs now carries Nuance! Water-soluble pigment powders - Click the banner for a fab video tutorial, loads of info & to shop! 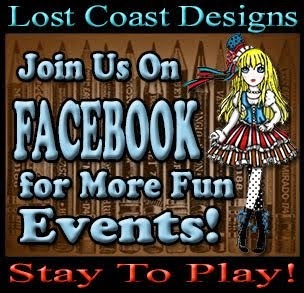 Lost Coast Designs Facebook Page! Get Our Projects in your Inbox! Stamping, Masking, Gelli Printing: Another Favorite Background Technique! 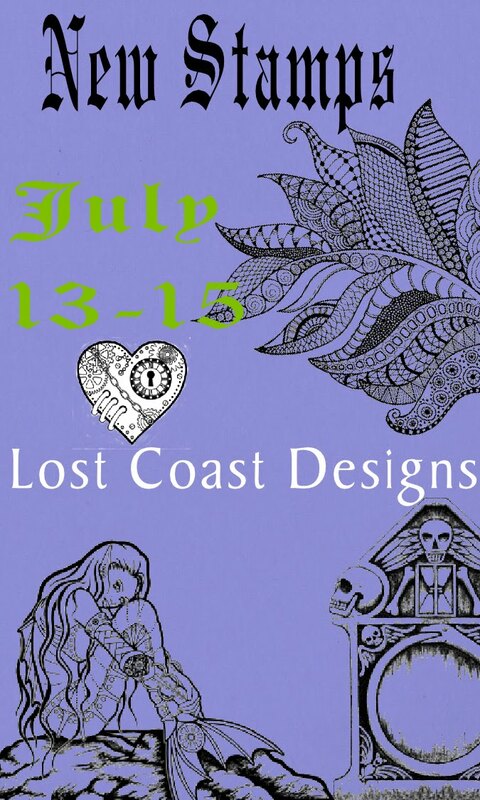 All stamp images are Copyrighted by Lost Coast Designs. Search our Blog or Use our Archive & Index below!